The Crew Wild Run is ranked in the 63rd percentile of games scored on OpenCritic. Ivory Tower's ode to the open road is an underrated gem, but this fiddly expansion still can't advance its MMO aspirations. Nonetheless, The Crew: Wild Run brings with it wealth of content and much needed fixes to a game that's finally living up to its potential. If you're disappointed with the latest Need For Speed and its implementation of open-world racing, the fine folks at Ivory Tower have you covered. It might not have been the most popular racing game around, but it's one that is now worthy of your time and attention. Personally I think that The Crew is underrated and Wild Run simply adds more content to what is already a pretty solid package. The Crew - Wild Run is a sign that the development team at Ivory Tower and publisher Ubisoft have plans to support the racing game in the long-term and will continue to deliver patches, more modes, and extra cards in the coming months. 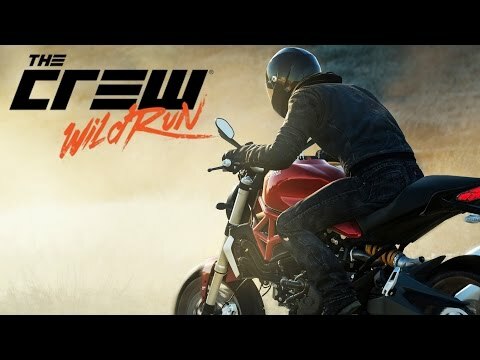 The Crew Wild Run saves a bit of face for the game, introducing some cool modes, mods, and new ways to dart around the map with motorcycles. Weather effects and a few visual enhancements make the game look incredible, and while it can't save the ho-hum affair that was The Crew, Wild Run as its own product is a good time, with some real play value to it. The $25 price tag may seem a little high, but thanks to exhilarating new races and massive improvements to the core game, The Crew: Wild Run more than justifies the asking price. The Crew: Wild Run is a fantastic expansion to the franchise and is a testament to Ubisoft's and Ivory Tower's consistent focus in making The Crew a reputable racing franchise. So what's the verdict? Is Wild Run good enough to bring back estranged early-adopters and entice a new audience? It's all up to you guys. Wild Run isn't lipstick on a pig, it's a frog become a prince. It's proof that for almost a year now Ivory Tower and Ubisoft have been listening to fans and incorporating their feedback into an expansion that finally gives The Crew an identity of its own. Without your own crew, though, the streets of America feel barren and lifeless. If you're willing to make the effort to reach out to a group of like-minded players with whom you can travel and compete, I can recommend The Crew: Wild Run without hesitation. The Summit will have you doing drift races, drags races, and doing stunts with monster trucks. The monster trucks are an absolute riot. While The Crew always had a solid and ambitious concept, Wild Run brings it to life with updated next-generation graphics, new vehicle specs for drift, dragsters and monster trucks, and even the introduction of motorcycles. 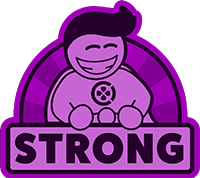 While the handling and physics still remains an issue, it shouldn't prevent you from having fun when playing. The Crew: Wild Run is a great example of a great idea that simply doesn’t fare better than ‘OK’ in its execution. The Crew: Wild Run is not a bad game, just one that doesn't excel at any one thing it does. Nothing about it kept me coming back for more, and a lot of what it offers is more convoluted than it needs to be. I feel like I should be enjoying it a lot more than I actually am, but I never had that sense of wanting to invest more time into the game. For players with a party of friends to enjoy it with, Wild Run is infinitely more enjoyable, but simply as a racing game, it feels painfully average. A high price point and lack of players means Wild Run won't tempt you back. As part of a larger whole, the Wild Run content helps to make The Crew into the more complete experience it should have been, but by itself as DLC the price will likely be too high for all but the most devoted Crew fans. The Wild Run expansion improves Ubisoft's lackluster "carPG" The Crew in a number of ways but can't quite redeem the entire experience.